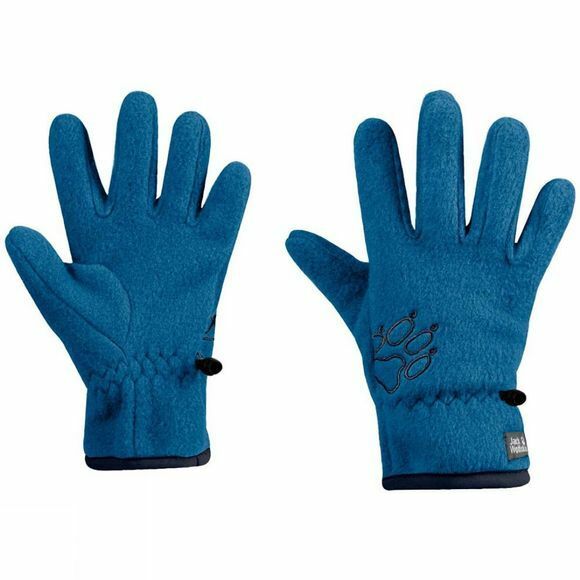 Walking to school or strolling through town, the Kids Baksmalla Fleece Glove from Jack Wolfskin is keeps hands nice and warm. These gloves are made of warm, hard wearing fleece. And the best bit is–it's 100% recycled. The elasticated cuffs ensure a snug fit.